UFC president Dana White likes to say that the UFC makes the fights that the fans want to see. For the most part, that’s true, but sometimes even White, and matchmakers Joe Silva and Sean Shelby are unable to make a certain fight happen. Just a heads up, you won’t see Anderson Silva versus Georges St-Pierre or Jon Jones on this list; not because we wouldn’t love witnessing those fights, but because they were more like pipe dreams than realistic possibilities. What you will find here are fights that were seriously discussed or actually booked, but fell apart before they could happen. Four out of the five fights on this list will never happen and one could happen (but we won’t hold our breath). Some fights that could legitimately happen are not on this list. These fights are ranked by stakes, interest, and potential pay-per-view sales at the time they were discussed. Read on to see if your dream fight made the list of the five biggest UFC fights that never happened. Anthony Pettis was a top contender in the UFC’s lightweight division when he decided that he would drop one weight division to meet then-UFC featherweight champion Jose Aldo in the main event of UFC 163. At the time, Pettis was 16-2 and coming off two “Knockout of the Night” performances. Aldo was 23-1, and the fight was going to be his seventh UFC title defense. However, the fight was canceled in June, when Pettis suffered a knee injury. Chan Sung Jung replaced Pettis, and Aldo went on to dispatch him in the fourth round via TKO. This could have potentially been one of the most exciting lighter-weight fights in UFC history, as both Pettis and Aldo possess some of the best striking in MMA. 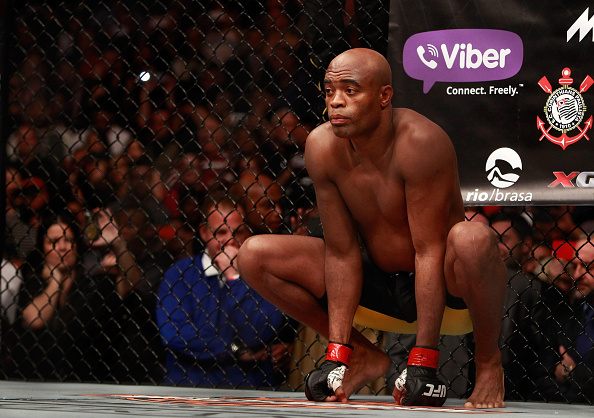 Before making his UFC debut in 2006 and eventually ruling the UFC’s middleweight division for more than six years, Silva fought for multiple MMA promotions, most notably PRIDE. When he signed with them in 2002, his UFC debut was delayed, erasing the chance for fans to see a fight between Silva and then-UFC welterweight champion Matt Hughes, which was supposed to be the main event of UFC 36. Hughes faced Hayato Sakurai on that card instead, earning a fourth-round TKO win. He defended his welterweight title four more times before losing to B.J. Penn at UFC 46. Hughes regained the title at UFC 50, defeating Georges St-Pierre, the man who took the title from him at UFC 65. Needless to say, it’s a bit disappointing to realize that Silva’s UFC career could have begun four years before it actually did. Brock Lesnar came to the UFC after one professional MMA fight. In his first fight with the promotion he faced former UFC heavyweight champion Frank Mir and lost by first-round submission. Lesnar went on to win his next two fights, including a second-round TKO win over Randy Couture to claim the UFC title. In his first defense, Lesnar got his revenge on Mir, earning a second-round TKO victory at UFC 100. Lesnar then defeated Shane Carwin at UFC 116, before losing his belt to Cain Velasquez at UFC 121. After a loss to Alistair Overeem at UFC 141, Lesnar, suffering from serious medical problems, retired from MMA. While his run was brief, Lesnar was the most popular fighter in the UFC, as his record-setting pay-per-view numbers can attest. It boggles the mind to consider just how big a fight between he and Fedor Emelianenko could have been. Before Ronda Rousey became the UFC women’s bantamweight champion she fought for Strikeforce as the promotion’s bantamweight champion. However, before she captured the Strikeforce title, Rousey fought as a featherweight, the same weight as Cristiane “Cyborg” Justino, the woman who held the Strikeforce women’s featherweight title. In late 2011, Justino defeated Hiroko Yamanaka with a 16-second knockout (a fight that was later ruled no-contest after Justino failed a drug test) and requested a fight with Rousey, but matchmaker Sean Shelby turned her down. While Justino, stripped of her title, served out her suspension, Rousey won the Strikeforce women’s bantamweight title and defended it. After her first title defense, Rousey challenged Justino to drop to 135 pounds, saying, “I’m the champ now. The champ doesn’t go to you. You come to the champ. Come down to 135 [pounds], and let’s settle this.” When Strikeforce was absorbed by the UFC, the UFC took ownership of both fighters’ contracts, but Justino asked for her release after the UFC was seemingly unwilling to book a fight between her and Rousey at 140 pounds. After that request, Justino went on to fight for Invicta FC. Meanwhile, UFC president Dana White and Rousey held strong in their position that Justino had to fight Rousey at 135 pounds. In early 2014, Justino said she would try to make the 135-pound limit, but an ankle injury delayed that cut that year. In 2015, Justino again revived talk of dropping to 135, saying in September that she thought she could make the weight. 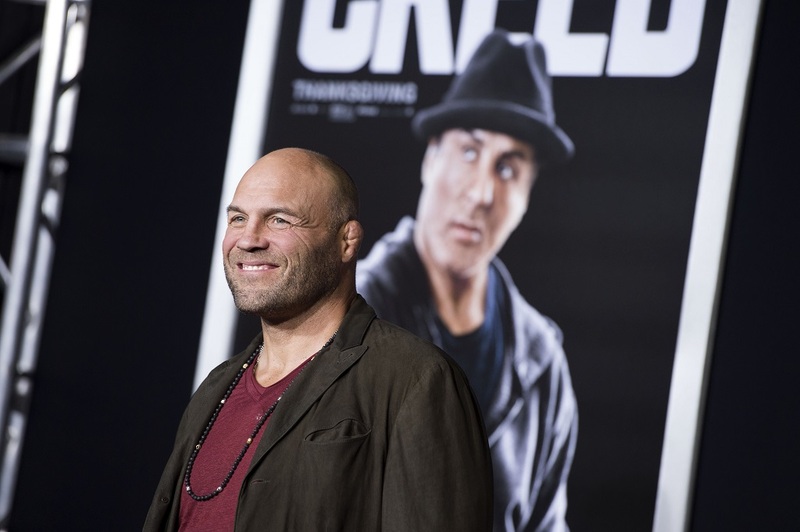 In October 2007, Randy Couture announced that he was resigning from the UFC. He was the promotion’s heavyweight champion at the time, having won the belt in March after earning a unanimous-decision win over Tim Sylvia. He then defended the title with a TKO win over Gabriel Gonzaga in August. Couture gave the reason for his resignation in a letter to UFC president Dana White: “I’m tired of swimming upstream at this stage with the management of the UFC. It only makes sense at this point in my career to fight Fedor Emelianenko, and since he’s now signed with another organization, I feel like it’s time to resign and focus on my other endeavors.” At the time he wrote that letter, Couture was 16-8, Emelianenko was 27-1-0-1 and widely recognized as the best fighter in MMA. By September, Couture and the UFC had worked out their differences. However, with Emelianenko signed to Affliction, the matchup could not happen. When Affliction folded in 2009, Emelianenko signed with Strikeforce, scuppering the fight. While with Strikeforce, Emelianenko lost three straight fights, taking some of the shine off a possible fight with Couture. When Couture retired in 2011 and Emelianenko hung up his gloves in 2012, it seemed that all talk of the fight happening died.